No doubt you’ve heard that there’s a royal wedding afoot. Which reminds me of the last royal wedding and of course, remembering that wedding causes me to reflect on just how alike Princess Diana and I were. We had a lot in common, she and I. Birds of a feather, if you ask me. Now don’t get me wrong, I never thought I was a princess. But there have been times when I would have preferred to live like one. And sure, I’m a Latina and she was born in England. There’s no denying that there are a few differences. But here’s what I’m really getting at: For a while there, Princess Diana and I led parallel lives. First, there’s the obvious things. She was a princess and I hailed from Queens. You can’t get more royal than that. Plus, we both wore our hair short, though she’s a blonde and I’m not. And we were both rather shy in our youth, especially at public appearances, though hers were televised and photographed incessantly, while nobody followed me around—whether to the mall or to the grocery store. In fact, the only paparazzo I knew was my father. He was always snapping photos, which was very annoying. So, I can totally relate to all the attention the princess received. Then, there’s the fact that Princess Diana and I each married in the same year, though her wedding was a bit flashier than mine, and she married in the perfect month for weddings, June. As for me, I was newly employed, with little vacation time, so I had to schedule my nuptials during the holidays, just after the New Year. It was a mere four degrees in New Jersey that day, with the wind chill factor putting the temps way below zero. Miserable weather for a seemingly auspicious start. Princess Diana and I were married the same year! Though mine was first. We each wore fairytale wedding gowns, though mine was off the rack and the sales lady practically bullied my mother and I into making the purchase. I’m sure, Princess Diana had a slew of people helping her with her gown, and I doubt any of them tried to push her into buying wholesale. Her gown became a fashion icon and is currently touring the states. Mine spent years stored in a box somewhere, until I dropped it off at Goodwill one day. Our first borns were boys, and mine was every bit a prince until that is, he started walking and terrorizing our poor cat. When the princess and prince visited the U.S., a gala dinner at the White House was held in their honor. At the time, I was working at an office just a few blocks away. There, she got to dance with John Travolta, who I happened to have a major crush on, ever since seeing him in Grease. Turns out, Diana had a crush on him, too! You see? Parallel lives, indeed! Coincidence? I think not! We both married men with cheating in their hearts, and our divorces became final around the same time. Which is about when our parallel lives began to part ways. She became a jet setter, jaunting all over Europe and tripping the light fantastic. While the only tripping I did was on my way to pounding the pavement in search of a job. Yes, Princess Diana and I were kindred spirits, though we never met and she never did respond to the 47 letters I sent her, in which I described all our similarities. Sigh. Maybe I’ll have better luck with Kate. After all, I’m just certain she and I must have a good deal in common! She was only a princess and you were from Queens… clearly you outranked her. I felt the same way about Diana, Monica – she was born exactly a week before me, and I also have two sons. Check out my blog post – The Princess and Me http://sunshineinlondon.wordpress.com/2010/11/19/the-princess-and-me/ – I’m sure you’ll find it amusing! It’s so funny. Here I used to think, how silly of me to compare myself to such a great, remarkable woman, to think we had so much in common. But now I’m discovering, I wasn’t the only one doing so. Glad to be in such good company! Fun post — as always! 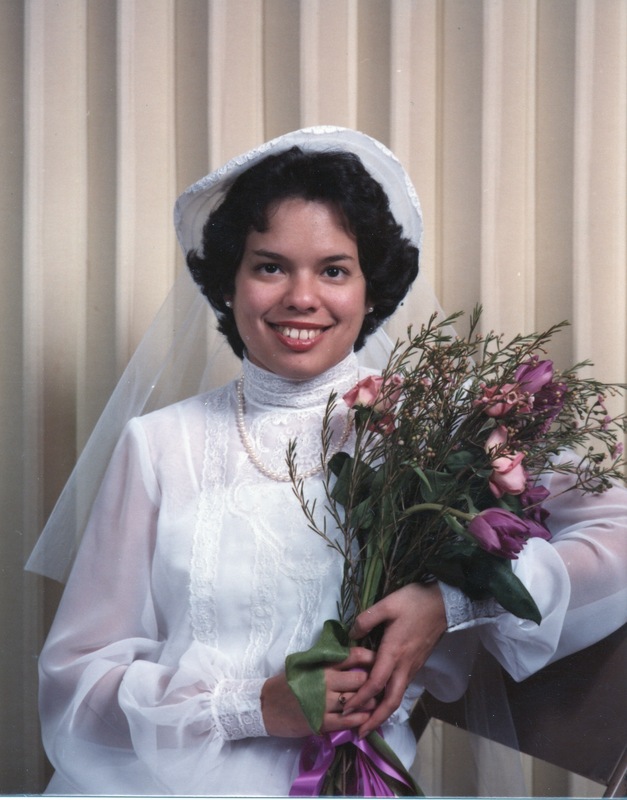 One more thing: when I look at my wedding photos, I see a bride with an embarrassingly bold pouf at the top of her veil. I loved Diana, but if I get honest, I have wondered if there’s some way I could blame her for it. Even just a little. Someone once said I reminded her of Princess Diana, but I suspect there was alcohol involved. Thanks so much for giving me a laugh! I’m always delighted to tickle someone’s funny bone, including yours. Tee-hee! I do admire Diana’s heart for AIDS patients and land mine victims. Fun post, Monica…Diana’s and my birthdays were only 16 days apart…I always thought we looked a bit alike (except that she had all those hairstylists who made her hair do what it should be doing!). So true, so true. As pretty as Kate is, the verdict is still out on her as princess. We’ll have to see. I had great admiration for the people’s princess and her smile, was truly a treasure. Once again you have written a brilliant post! This was charming! It’s absolutely uncanny how alike you two are. Thank you! I’m glad you see it, too. I was really sadden over the lost of Diana, there was something so special about her, an innocence of sort. She loved helping people and she took great interest in others. Her son William, reminds me so much of Diana-he has this same innoence and appeal to the needy in the world. I hope him and Katherine will be happy-and not let protocol ruin their life together. Sounds like you and Diana did have a kindered spirit. I adored Diana, too. She was lovely, and did so much to help others. I do feel sorry for her boys, that they’ve had to grow up without her in their lives. This is a fab comparison. Made me laugh!